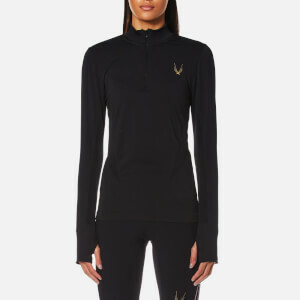 Women's featherweight jacket from premium activewear label, Monreal London. Constructed from breathable, stretch fabric, the ultra-light, colour-block jacket showcases a streamlined silhouette that sits close to the body for enhanced performance. 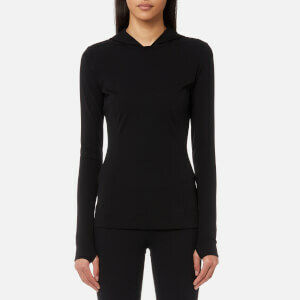 Detailed with a two-way zip front fastening, long sleeves with banded cuffs, and two zipped pockets. Features a woven tag at the hem and the brand's signature zigzag 'M' logo printed to the back. Two internal slip pockets complete the design. Model is 170cm/5'7" and wears a size S.